Bankruptcy can affect any New Hampshire resident, regardless of income level or their profession. At the Law Offices of Christopher W. Kelley, we know bankruptcy often happens to hardworking people who have just fallen on hard times. Unemployment, divorce, and medical issues are some common reasons people file for bankruptcy, yet there is still a stigma attached. Despite the stigma, it is a resource many New Hampshire residents have had to utilize in recent years. There is no reason to let that stigma keep you from finding out the facts about bankruptcy and how bankruptcy may help you get a fresh start. The bankruptcy laws in New Hampshire can be complex. 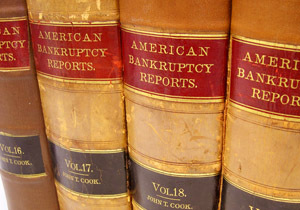 You need an experienced bankruptcy attorney in your corner who will take the time to understand your unique situation. There are several options for bankruptcy in New Hampshire and Attorney Kelley can help you understand what might be the best option for you based on your particular situation. For New Hampshire Bankruptcy Statistics, Click Here. In New Hampshire, most people who decide to seek protection under the Bankruptcy Code file a Chapter 7 bankruptcy. A Chapter 7 is the appropriate choice for those who are swamped with unsecured debt, such as medical bills and credit card debt. In a typical Chapter 7 bankruptcy, you will keep all of your assets. Once you file a Chapter 7, the bankruptcy court issues an order which prevents creditors from continuing to collect what you owe. The phone calls and any lawsuits pending against you will also cease. The laws are very specific concerning exemptions when you file for Chapter 7, and Attorney Kelley will be able to explain what property may be exempt and what debts will be discharged. Chapter 13 bankruptcy in New Hampshire is a good option for those who have a dependable income, but just need help reorganizing their debt. If you are behind on your mortgage, a Chapter 13 will cancel the foreclosure sale and give you time to get caught up with your missed mortgage payments. Under a Chapter 13 bankruptcy you will have 3 to 5 years to reorganize your debts. In New Hampshire, it is against the law for any employer to discriminate against you if you have filed for bankruptcy. You can’t be denied licenses, grants, or permits based on your bankruptcy case.